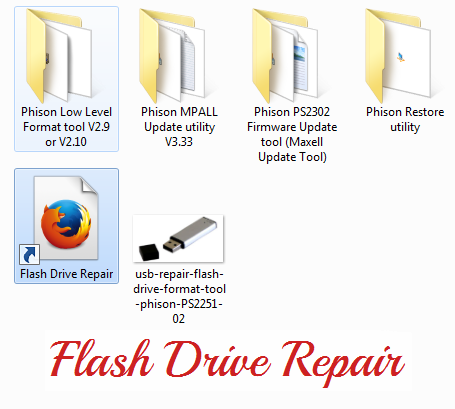 Download Phison PS2251-02 (PS2302 ) USB repair tool .Phison PS2302 Format tool allows to update Phison PS 2251-02 Firmware .Download the USB repair utility and fix your Flash disk . First try to get the chip genius report for your corrupted usb flash disk .Download Chip Genius V4 Software and insert your corrupted Phison USB disk .The Chip vendor must be Phison and Chip part number should be PS2251-02(PS2302).The USB repair software used in this article will be only for Phison PS2251-02(PS2302) . The most important Parameter is colored with orange color . Phison Low Level Format tool V2.9 or V2.10 . Phison MPALL Update utility V3.33 . Phison PS2302 Firmware Update tool (Maxell Update Tool). All these programs in one file , Download it from the download links in the end of this article . Insert your Phison PS2251-02 USB stick to your PC and Try every Repairing software that we mentioned before until fix your problem . If this software doesn't work with your USB flash disk ,Please write a comment with your Chip genius report . 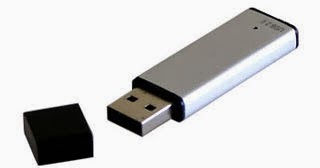 You can repair your corrupted flash drives by following the repairing methods mentioned in the following article "The full guide of Best USB flash drive repair software"
Don't forget to subscribe with our Facebook Page , Google+ page and Twitter . Hi, could you please help me.. I have USB stick with Phison 2251-02-q, i am using this program and utility and i tried every firmware and it dont work.. It gives me error: program burner error 0x1106..